I must confess, I HATE washing my hair. I'm the worst when it comes to hair-wash day and will put it off as long as physically possible. I luckily (?!) have pretty dry hair, so it's not often it looks greasy, but after a few days it does loose it's shine and just looks generally unhappy. Of course, like most other girls, I think dry shampoo is a Godsend. I've dipped my toe in the world of different dry shampoos, yet always came back to my trusty Batiste. That was until I made a new discovery. 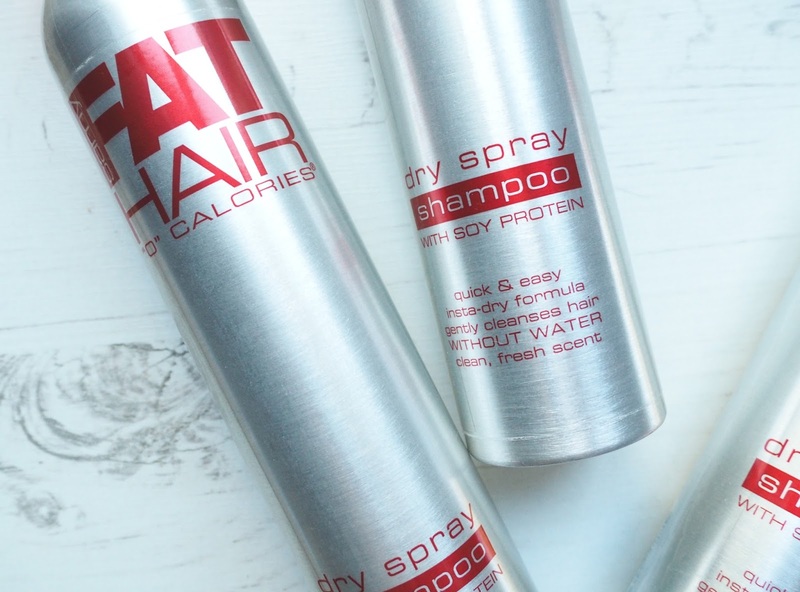 This was one of those shopping trips that was completely aimless - I popped into PoundWorld and stumbled across the Fat Hair '0' Calories Dry Shampoo. I recognised the brand from Superdrug so I thought it wouldn't hurt to pick a bottle up...I then went back a week later to buy more. 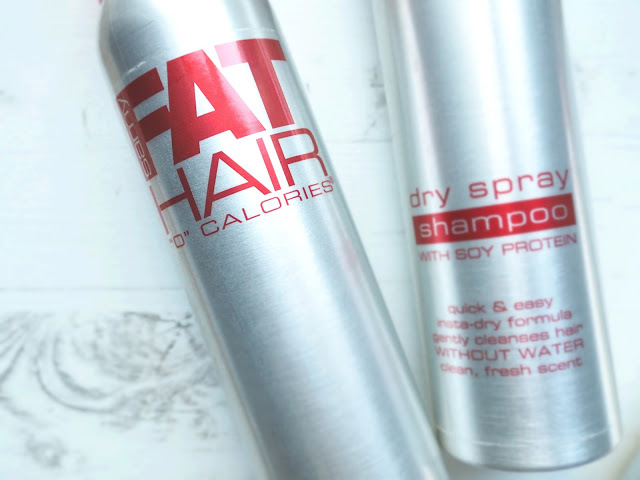 If you have fine, limp hair like mine, this stuff is amazing and all for a tiny £1. 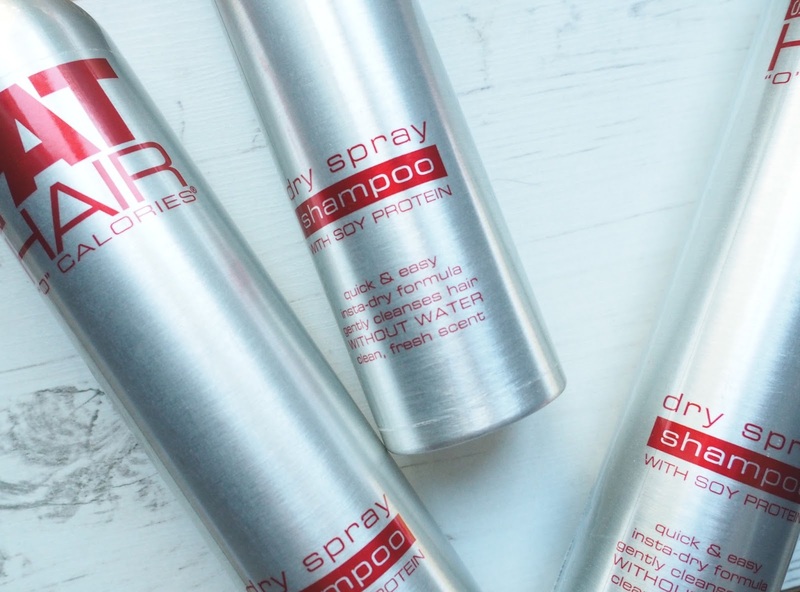 It's not just a dry shampoo, but it also adds so much volume to lifeless locks. As with all dry shampoo, I apply this before bed and the following morning I have super thick, bouncy and clean-looking hair. The only way I can describe how this feels on your hair is it kind of gives it some 'grip'. I find styles stay in so much better when I've popped a bit of this through my hair. This is such a great multi-use product, I can't see myself ever going back to Batiste. I will certainly be stocking up on some more before they sell out! Have you found any £1 bargains recently? Oohh what a bargain! I haven't been in a pound shop for a while but it sounds like I definitely need to get to one ASAP, i'm a sucker for a bargain!